There are very few small companies that can afford large marketing budgets. However, you can find tremendous success by taking advantage of a focused pay-per-click or PPC marketing campaign. By determining how valuable customers are to your business you can decide how much to spend to draw them to you. Unfortunately, no one can convert every single lead so a conversion rate formula is utilized to advise you of how much each lead should cost. Pinpoint customers with targeted keywords that are popular for your type of business within its niche market. Include specific language, location and when ads occur for the most beneficial results in the shortest amount of time. A broad match is much less successful than a modified broad match. Don’t pay for clicks that will not influence consumers. By testing different ads, you can determine which are most cost-effective and results-driven. Often, this can be accomplished by simply moving the copy around in an advertisement or adding a customer quote. The most basic ads without a lot of extraneous information and bling are generally the most effectual. In addition, testing numerous markets can gain you additional customers in areas you may not have previously considered. Rather than relying on your feelings and opinion, depend upon the data to influence your PPC decisions. Google AdWords and Bing Ads are excellent sources of valuable marketing tools. 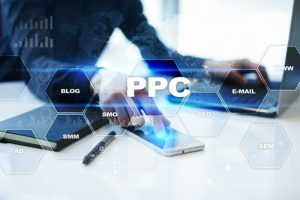 Consult the professionals at Top Marketing Agency for the best advice about the most profitable PPC marketing strategies for your business. Call us at (888)843-9840 to learn more.